What Can Your Eyes Tell You About Your Health? The Science of Iridology is over three thousand years old, and only in recent decades has been removed from allopathic medical school. A properly trained Iridologist receives over one hundred classroom hours, and several hundred out of classroom hours of study, due to the complexity of the science. The eye develops in the fetus as an extension or protrusion of the forebrain. By the sixth week of pregnancy, the iris begins to form; and, by the eighth week in utero, the iris fibers begin developing. The iris fibers are directly connected to the brain and nerve pathways throughout the body and develop as a reflection of the bodies tissues. Why is an Iridology reading beneficial? The iris is the colored portion of the eye, typically blue or brown, and sometimes referred to as hazel. The center is the pupil and the whites of the eyes are the Sclera. Each portion reveals a great deal of information about the whole individual to the trained iridologist, and everything that is learned from an iris reading is good news. The self-knowledge that can be acquired from an iridology reading, may dramatically impact your ability to take steps to prevent an illness or disease. What Can an Iridology Reading Detect? Lymphatic / Blue ~ A blue iris can be blue, blue-white, blue-grey, whitish-grey, whitish-black. The blue iris person has a predisposition for sensitive mucosal tissues, the genital-urinary tract, the respiratory system and the GI track are going to be more sensitive. Those with blue eyes tend to feel and experience their pains more than those with the brown eyes. This includes emotional and physical pain, such as arthritis pain. A blue eyed person tends to get their feelings hurt more easily and also has a higher probability of issues related to self-esteem to overcome. Hematogenic / Brown ~ Hematogenic is the true brown iris, not the eye that is lymphatic blue with accumulations. Biliary / Mixed ~ are a genetic blend of blue and brown eyes. Some biliary iris’s are predominately brown and have the appearance of green or yellow, and other biliary iris’s are mostly blue with a section of brown. Often times a person with a biliary iris consider their eyes to be hazel or green, or changing in color. A person with a biliary iris have similar predisposition characteristics to the hematogenic eye, except the biliary-eyed person can be more prone to the gall bladder and pancreatic challenges. The liver, gallbladder, blood disorders, along with gallbladder and pancreatic challenges may be present. To take advantage of the knowledge gained through Iridology, schedule a WellCare appointment with our experienced Iridologist and Board Certified Holistic Health Practitioner, Victoria Smith. 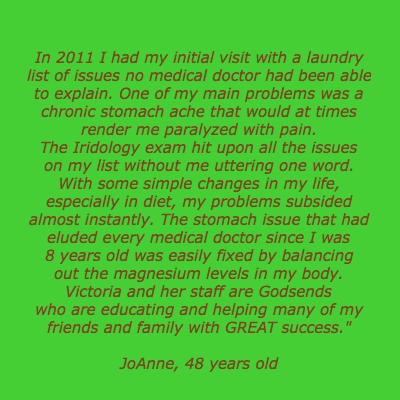 Health is more than just a yearly check up or taking vitamin. 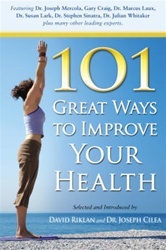 The book I co-authored, 101 Great Way to Improve Your Health, proves that health is multi-faceted. The last excerpt from the book was about forgiveness. This excerpt is about another daily activity that takes no physical activity, but could make a huge impact on your overall health. Most of us become anxious when we are not feeling well. 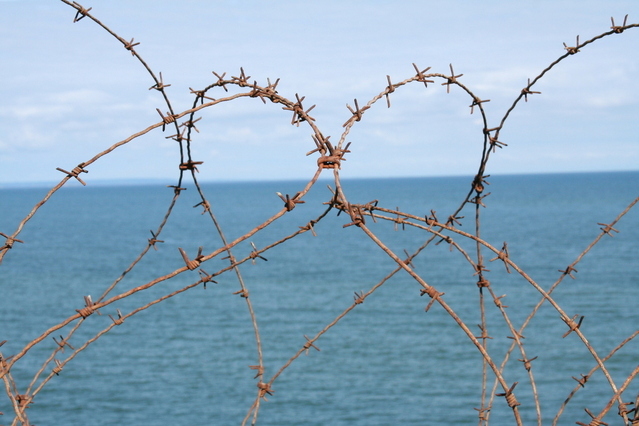 Our stability and security are threatened, and we become fearful. “What if I have to take off from work again?” or “How will I manage if I get sick?” are questions we may ask ourselves while feeling our anxiety build. Whether we are dealing with a serious illness or just an off day, it is important to eliminate stress as much as possible. A good way to do this is to tune in to gratitude. Gratitude, like other positive emotions, has an undeniable positive effect on our health and well-being. Better Health through Self Improvement of positive psychology are finding that positive emotions are far more important to mental health and physical well-being than scientists had ever realized. 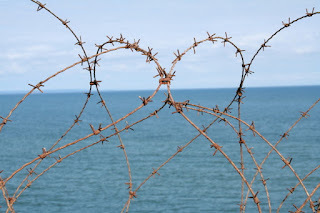 When we are experiencing illness and discomfort, we do what we believe will help in our healing. We follow our doctors’ advice, take the prescribed medications, eat well, get plenty of rest, and try other nontraditional alternatives that promise to promote good health. But have we ever considered how important our thoughts are? Keeping our thoughts as positive as possible is critical because, generally, our thoughts precede our feelings. Positive emotions come from positive thoughts. When we think about what we are grateful for and it is something we truly value, we feel the positive emotion of gratitude. A mother may think of her newborn baby and feel gratitude; a father who has just been promoted at work may feel grateful for new opportunities; a child who gets exactly what she wanted for her birthday may feel gratitude. Choosing to focus on the blessings in life and being grateful for them will help us stay positive. This doesn’t mean that we won’t ever have negative thoughts to deal with, but choosing to lift our thoughts higher with gratitude will help remove us from our victim status and empower us. Making the practice of gratitude a habit, even before we are under the weather, will help us stay well and get well sooner when we become ill. There are always good reasons to be thankful, even if we don’t feel like it. At first, we may have to fake it until we make it. 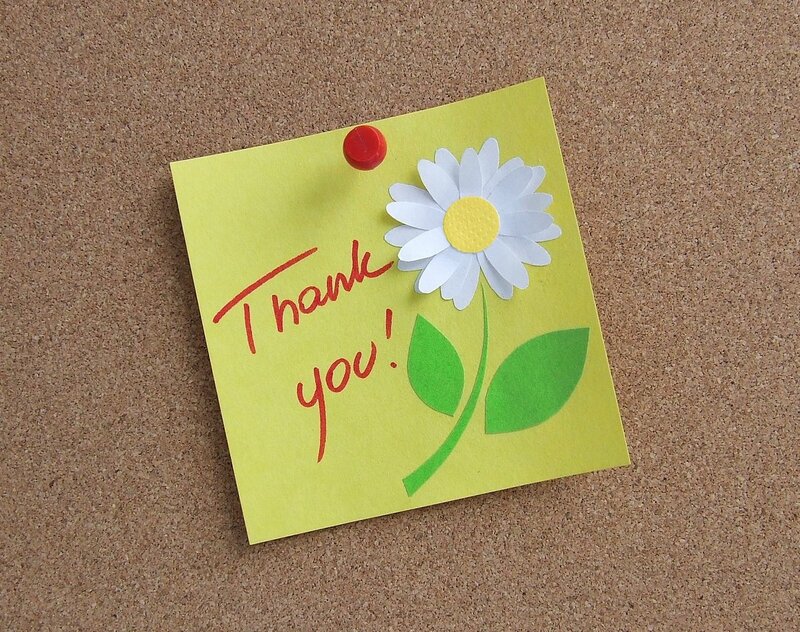 By deciding to say thank you enough, we may even find troublesome thoughts occurring less often for an added benefit. Gratitude is an antidote for depression. When we stop for a moment, look at our surroundings, and focus on our gifts, we realize how much we have to be grateful for. The gifts of hearing, sight, and clear thinking are invaluable, yet we often take them for granted. Family members and friends, nature and its beauty, and positive actions that improve our world are good examples of things to be grateful for. Other examples include getting a clean bill of health from your doctor, finding the theater tickets you thought you had lost, arriving safely at your destination after a bumpy plane ride, finding shelter in a sudden downpour, smelling the sweetness of apple blossoms in the air, and having a shoulder to cry on. The list of things we have to be grateful for is endless, and the more we are grateful for, the more we will notice how much we have to be grateful for. Because we have a natural tendency to focus on the negative, it is important to make a conscious effort to stay positive, and cultivating gratitude is one way to do this. The practice of gratitude has the power to turn our focus from our logical minds to the positive feelings we carry in our hearts. Why not practice gratitude until it becomes a habit? Make a commitment to be grateful every day. 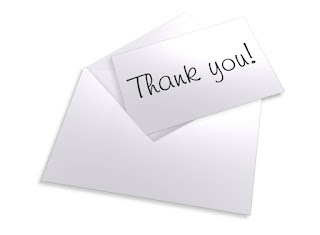 Find at least one person to say thank you to every day. Give thanks and praise for your loved ones every day. Send thank you notes more often. See the beauty in nature and be grateful for it. Look for the good in everything. Find a gratitude partner and share positive moments of gratitude. Take great care of yourself and choose to be grateful for all the gifts in your life. Katherine Scherer and Eileen Bodoh are the authors of Gratitude Works: Open Your Heart to Love, an inspirational book that helps readers access the healing power of gratitude, and the e-books Gratitude Works Journal and Gratitude Works Prayer Book. Their mission is to touch lives with the spirit of gratitude. Katherine’s and Eileen’s diverse backgrounds include owning and operating a business, chairing nonprofit community groups, facilitating self-improvement groups, developing a holistic health conference, hospice training, and training in parent education. Their writing appears in publications and Web sites in the United States and Canada. Visit http://www.gratitudeworks.com. 1 Robert A. Emmons and Michael E. McCullough, eds., The Psychology of Gratitude (New York: Oxford University Press), 3.2 Robert A. Emmons and Michael E. McCullough, “Highlights from the Research Project on Gratitude and Thankfulness” (working paper). 3 Ibid. You can purchase 101 Great Ways to Improve Your Health online as an ebook or paperback. 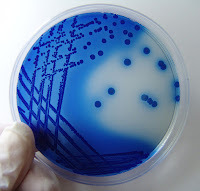 My own case of Candida started with a round of antibiotics and grew in my body over the next 20 years. It became so rooted that I had a difficult time functioning. As the doctors confirmed their suspicions...there was nothing wrong with me, it was obvious to my family, friends, community that I was very ill.
One day when I was riding a quad runner I rolled it over on myself. Trauma, stress, injury or illness often times accelerate Candida. My life went from bad to worse. My walking became labored, my feet felt so heavy, I could not lift them. It was more painful than anyone could imagine. The one time that I did take prescription pain medicine, I found that it did not decrease my pain one bit. My husband had to do everything and tried to live a normal life for our children. My children wanted me to be an active part of their life, yet I was sleeping through those precious years. It tore my heart out, I wanted to be a good wife and mother, but I couldn't help it no matter how determined I became. Since medical doctors had given up on me, I visited an iridologist, an herbalist, chiropractors and other non-traditional health providers. All diagnosed me with Candida. Was this a death sentence? I used herbs, did juice fasts, ate whole foods, restricted my diet, tried essential oils, Reiki, massage, detox treatments, colon cleaners, enemas, and on and on. Some things helped, but never enough. My pain decreased but never disappeared. My memory improved some, but I was still very confused. My sleep did not normalize. Then, one fateful day, I heard about a probiotic that lowered the Candida population in the body. The mere idea that maybe I could be healthy again restored my hope. I ordered the product, and anxiously waiting for it to arrive. My life changed the day I took the first packet of this specific strain of probiotic. I felt an improvement with my brain fog, and this made me excited. I was thrilled to have even a little energy to enjoy my family again. My thinking was clearing and slowly I became my husband's companion again. My children gathered around me. We were becoming a close family again. In the first week, the improvement was so dramatic that I thought I was almost completely well. Looking back, now I realize that I was so sick that I had forgotten what it felt like to be well. It took a few months to really recover. It had been so long that I was sick. I was overwhelmed to see people using cell phones everywhere. Everything seemed new and different to me, I felt like I had been dropped into a century into the future. Finding an effective treatment for Candida was what I spent literally thousands of dollars and six years searching for, thankfully I learned how to remove from the body what does not belong there and re-nourish the weakened organs before I had completely given up. I almost did give up, and I am still very thankful to be alive and well. Now others tell me that I glow, commenting on my thick shiny brown hair, sparkly eyes, healthy nails and creamy skin. People can't believe that I have children in college and getting married. It makes me smile when others tell me I look so young for having children in college. I am so grateful to be healthy again, involved in my children's lives and in a loving relationship with my husband. Just about the time that I thought I was completely well, I stopped taking this specific strain of probiotic. In a period of 4-8 weeks, I began to slow down again. This began my next phase of learning, of the importance of the microflora replenishment. I had read it, understood it, but living it helped me to wrap my mind around it completely. I began taking the probiotic again, and my energy began to increase again. It was the addition of the broad spectrum probiotic, that GROWS in the gut, to re-nourish the microflora, that I was missing (along with a few other things). Much has dramatically changed my life over the past several years, and I want others to know that a specific probiotic and some other easy life changes may bring them relief and a return to vibrant health. Along the way, I discovered many valuable, little-known (easy) lifestyle changes and facts that can have a tremendous impact on one's health and quality of life. Some products and treatments available are money well spent, while others are not. Like many health care professionals, when I became ill, I found that the very treatment I recommended was ineffective, but now my clients tell me that I am a unique healthcare professional .... because I walked in their shoes and share with them safe and natural effective ways to normalize their body. If you would like to learn what I did, what worked, what did not work for me, and what my education taught me, you are invited to become my client. I will provide you with information that you need to take educated steps towards wellness. I will provide you with personalized support and share my expertise. 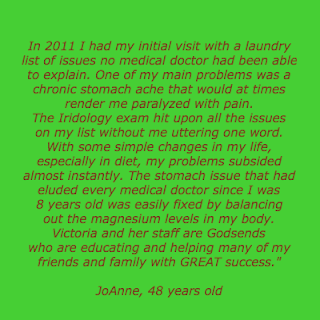 Join others throughout the world, who have restored their lives, recovered from Candida. 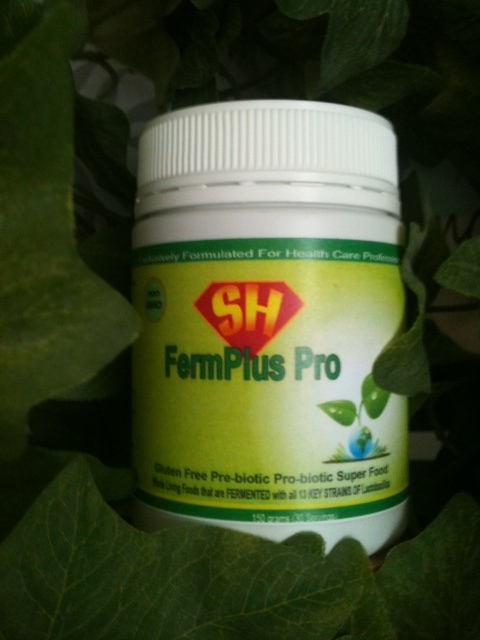 "I am up to 3 tsp of Fermplus and wow this stuff works...this stuff takes no prisoners in killing off the candida." Click here to schedule a well-care appointment and use promo code CANDIDA, to save $10! We can meet via phone or Skype or at my center in Northern Kentucky. If you are concerned about any of these gallbladder symptoms and want to discuss your concerns, you can meet with me, Victoria Smith in person or by phone or online. A well care visit is $60. Use promo code BLADDER to get $10 off your initial visit. 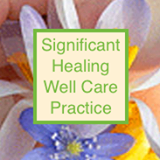 My goal is to help you achieve significant healing! The fats in our diet would not be digested, since bile emulsifies the fats and breaks it down for the body to absorb it. We would have higher levels of cholesterol in our bodies, revealed in blood tests. Bilirubin is made from our dead red blood cells and is a pigment. It is a greenish/brownish substance. It is also part of the bile. If the liver doesn't secrete the bile, the bilirubin would stay in the blood instead of being converted by the liver into a soluble form and flow with the bile. Our urine and the stools would be whiter in color since the bilirubin in the bile doesn't reach the intestines. If the fats are not emulsified, then they are not being absorbed well. Many vitamins are fat soluble. 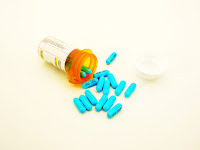 Vitamins and medications also would not be absorbed from our foods and this could affect our health. The body main source of energy is glucose, but fats also play a part in this energy source. Without fat our bodies could lack the energy the cells need to function well. Bile is constantly being made by the liver. If bile stays in the liver instead of flowing, it would destroy the liver cells and they would die and form scar tissue in the liver. This may block the flow of blood through the liver and the liver may cease to function. The liver cells help with over 500 functions to keep the body well. A damaged liver is is life threatening and should be treated or replaced. in digestion. Examples of bitter foods: arugula, bitter melon, coffee, curly endive, dandelion greens, dill, Jerusalem artichokes, kale, saffron, sesame seeds, turmeric. Eat a diet high in fiber, with a lot of vegetables. Avoid refined carbohydrates, including sugar and white flour. Consume Omega 3 fatty acids and other polyunsaturated fats and monounsaturated fats daily, such as Tuna Omega 3 oil, olive oil, avocados, coconut oil. Supplement choline intake with meals. Choline makes the bile more liquefied so that it passes easier through the bile duct (which is really small and can get irritated and blocked, thus causing gall bladder “attacks.”) It also helps with brain function and helps prevent brain fog. Choline bitartrate, choline inositol are both good, but I use Standard Process brand of choline. Avoid trigger foods like pork, eggs, coffee and dairy, until gallbladder cleansed. Lose excess weight, but slowly. Schedule nutritional consult to evaluate supplement aide and save $10 with promo code BLADDER. Cholacol - Supports gallbladder function, healthy elimination and aides both diarrhea and constipation. Gallbladder removed? This is a source of bile salts which helps enzymes break down fats. Helpful to take with every meal if gallbladder removed. Choline - is a water soluble essential nutrient, usually grouped within a B-Complex vitamin. Thins bile, flushing through gallbladder. Particularly beneficial for skin conditions such as acne, eczema, menstrual migraines, and for those who experience nausea with A-F Betafood. The three main physiological purposes include 1) structural integrity and signaling roles for cell membranes 2) cholinergic neurotransmission (acetylchoine synthesis) and 3) major source for methyl groups via its metabolite, trimethylglycine (betaine) which participates in the S-adenosylmenthionine (SAMe) synthesis pathways. A-F Betafood - Supports normal processing of fats, for cholesterol-metabolism support. Aides bile production and bile flow in gallbladder. Best taken at mealtime with Zypan (or Multizyme for acid sensitive individuals). Especially useful for endurance. Ideal for liver congestion when fats cause digestion problems, from blocked bile route. Livton - Supports healthy liver and gallbladder function. Supports normal processing of hormones. Encourages healthy bowel function. Encourages healthy function of the organs of elimination. Helps maintain healthy blood. Great for those who use too much alcohol. Do not take at same time of day as iron supplements or if pregnant or lactating. To learn more about Standard Process or purchase these supplements, go to our Standard Process webpage or contact our office for a Standard Process mini-consultation at 859-282-0022. The gallbladder serves as a reservoir for the bile that is produced by the liver. Bile is necessary to digest and metabolize fatty acids. The extra bile storage allows the body to effectively metabolize fat-rich foods such as beef, cheese, eggs, butter and so on. When the liver and gallbladder become congested with toxins the secretion of bile is impaired; and, the digestion of fats slows down or halts. This imbalance can cause bile material imbalances that lead to gallstone formation. Gallstones are crystalline formations of cholesterol and calcium that are formed within the gallbladder and biliary tracts. These stones can vary widely in size from as small as a grain of salt to nearly the size of a golf ball. Gallstones are a sign of incomplete liver detoxification and pose a significant threat to the body. 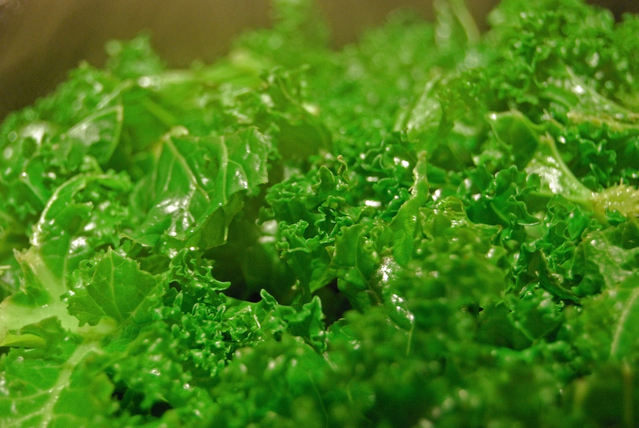 Gallstones can be naturally eliminated with an anti-inflammatory diet and cleansing routines. Most individuals do not experience any outward signs or symptoms of gallstones. As the stones increase in size, they hamper digestion and may cause mild to severe pain in the upper right abdomen area, as well as other symptoms listed above. The pain sometimes is felt as a burning sensation that radiates across the breastbone area. It may or may not be accompanied by constipation. When gallstones develop, they sometimes cause infectious organisms such as E Coli and Bacteroids to be lodged in the gallbladder. In turn, this causes further inflammatory stress to the liver and gallbladder. These infections can create life threatening issues and must be addressed without delay. Fresh vegetables, fruits, fermented foods and probiotics may help flush these infectious bacteria and reduce the severity of any infection. As a disclaimer, I always remind readers to visit their physician if symptoms arise. A healthy diet and lifestyle is necessary to inhibit gallstone formation. A diet rich in phyto nutrient rich organic fruits and vegetables, grass-fed animal products and healthy fat sources such as chia seeds, flax seeds, avocados, coconut and olive oils may improve the health of the gallbladder. Raw cheese from grass-fed cows and goats is rich content of omega 3 fatty acids, vitamin K2 and D3, which are nutritiously support the gallbladder and helps regulate calcium metabolism to inhibit the formation of gallstones. Foods that are rich in organic acids and natural enzymes are especially important for the entire digestive system including the liver and gall bladder. These foods include apple cider vinegar (ACV), fresh squeezed lemon, lime and apple juices, kombucha, kimchi and red cabbage sauerkraut. 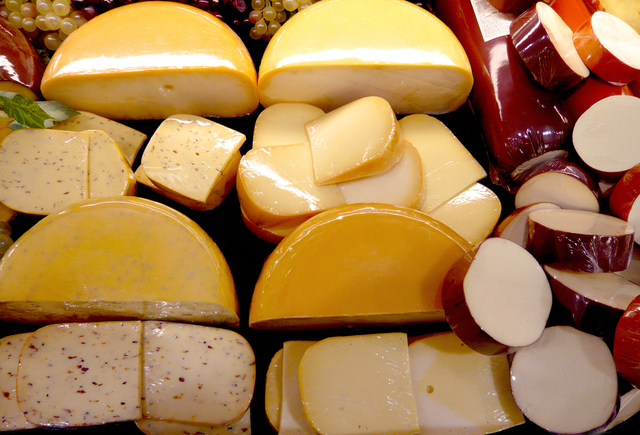 Naturally probiotic enriched, raw dairy products such fermented whey and kefir are extremely beneficial. Did you know that breakfast really means ‘breaking the fast?’ Each evening after dinner, it is important to not eat, until morning when the daily fast is broken. During the fast time, the digestive tract, especially the liver, is working hard to regenerate. Liver health is dependent upon this regular fasting cycle to effectively cleanse and detoxify. A 12-hour fast between dinner and breakfast is a great daily habit for a healthy lifestyle. If one were to finish their final solid food meal at 8 p.m. they should not attempt another solid food meal until at least 8 a.m. This gives the body four hours to digest and metabolize the food and then 8 hours for the liver to cleanse. 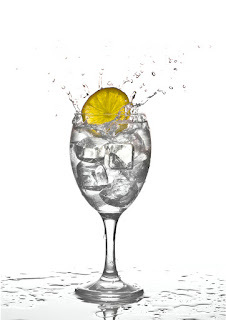 Breaking your daily fast with lemon or lime water, 30 or more minutes before solid food, further detoxifies the liver. Once you incorporate this 12-hour daily detox cycle into your lifestyle you can choose to increase this period of time. As your body becomes more accustomed these regular mini-fasts, increase two to three 16-hour liquid fasts each week and even a 24 hour liquid fast will keep the liver well flushed. A 16-hour fast may include dinner ending at 6pm and breaking the fast with lemon water at 10am, then a solid breakfast at 10:30am. These fasting periods are much easier than most people believe. Many individuals will drink fresh vegetable juices, functional beverages made with fermented whey, kombucha and water with lemon. The fluid and nutrients supply the body with very clean energy that enhances the liver's ability to purge toxins and facilitate bowel movements. Anyone with pronounced and symptomatic gallstones may benefit by going on a liquid diet with lots of water with fresh lemon juice, ACV, fermented whey, coconut kefir and fresh organic vegetable juices. Try to limit solid food to one meal per day with very moderate portions of anti-inflammatory foods. This gallbladder flush is not for everyone, but certainly some do it yourself-ers will enjoy trying it. From reports, it works great for some while others do not notice changes. A gallbladder flush contradicts many modern medical viewpoints. Gallstones are thought to be formed in the gallbladder and not the liver. Most medical professionals believe that there are few gallstones, not thousands, that can contribute to symptoms. By the time that acute pain attacks occur, there are typically stones in both the liver and the gallbladder and are large and sufficiently calcified to see on an x-ray, causing inflammation. Typically when the gallbladder is removed, the acute attacks disappear, even though bursitis, other pains and digestive problems remain. Even people that have had their gallbladder removed produce plenty of green, bile coated stones, with a gallbladder flush. Anyone who cares to dissect their stones can see that the concentric circles and crystals of cholesterol match textbook pictures of ‘gallstones’ exactly. Gallstones and liver stones are formed by stagnant bile. Insufficient water intake can cause stagnant bile as well as stress and fear. There are plenty of people with chronic illnesses who have reported releasing thousands of gallstones with this flush, that were obviously congesting the bile ducts of the liver. Some stones may impact the gallbladder as well. By removing stones through a series of cleanses and subsequently maintaining a healthy diet and lifestyle, the liver and gallbladder may be able to restore their natural efficiency and most symptoms of discomfort or disease in the body may subside. Allergies may lessen or disappear, back pain dissipates and energy and a feeling of well being improve dramatically. Cleansing the liver bile ducts from gallstones can be one of the most important and powerful things you may do for your health. Individuals with pervasive gallstone problems may clean out their gallbladders by doing this flush twice monthly. For those who do not present symptoms, it is still a good idea to do a flush for prevention, a couple of times a year. Many people lost weight, allergies disappear and a number of ailments are alleviated by flushing stones. Gall Stones have been reported from teeny tiny, to pea-sized to the size of marbles! The color of the stones vary as well as the size. Some are golden (tan), some bright fresh green pea colored and others dark olive green, black or off white. The hardness varies as well. Some are very soft and fatty while others are hard and crusty with an emerald green inside that has a crystalline pater. Some stones are completely calcified. You may wish to take your stones to your physician, in a glass jar. It is imperative to wait at least two weeks between flushes, so that the stones have time to roll forward, taking the place of those that were previously flushed. 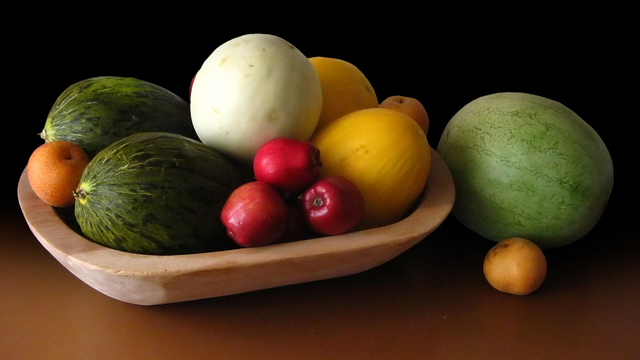 Upon waking, the day of the flush, eat only fruits and vegetables, being careful not to consume any fat at all. 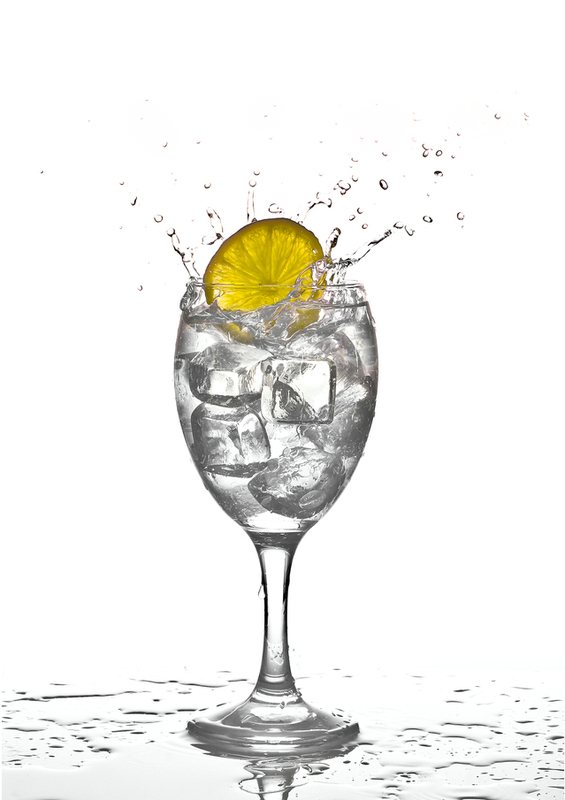 It is acceptable to consume only fresh lemonade, made with stevia (or xylitol), freshly squeezed lemons and filtered water. Throughout the day, drink at least 64 - 128 ounces of water. Warm water is best. You may add fresh lemon or lime to the warm water. At 4pm, stop eating solid food and drinking water. At 8pm, mix 1 teaspoon of Epsom salts in one cup of organic apple juice. Stir and drink very quickly. You may wish to hold your nose while drinking down very fast. 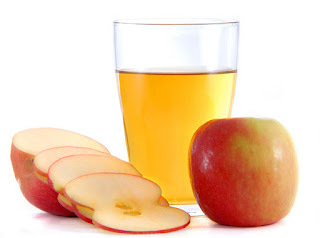 At 10pm, drink another cup of organic apple juice with 1 teaspoon Epsom salts. At midnight, get completely ready for bed. Brush your teeth, have a book by your bedside (if you read yourself to sleep), climb into your pajamas. Have ready in a glass jar, next to your bed ¾ cup of freshly squeezed pink grapefruit juice and ½ cup extra virgin olive oil. Just before you climb into bed, shake your jar of juice and oil until frothy and drink very quickly. Immediately lie down on your right side. If you are more comfortable on your back, that is okay as well. Be sure to stay VERY still for at least 20 minutes before changing positions. Your stomach will gurgle as the stones are dislodged. Go to sleep. In the morning, sometime after, or when you naturally wake up, get up and have another drink of Epsom salt and apple juice. Most likely you will have a bowel movement. Liver stones float, but many people do not see any stones until the second bowel movement of the day. Also, stones can be trapped in feces. Yes, some people use an old colander to strain their bowel movements, to look for stones. With a first time flush, people have reported anywhere from 10 to hundreds of stones being eliminated. If you wish to keep them, rinse and place in a glass jar, then freeze. Some people stop eliminating stones after 5 or 9 or even 20 flushes. As you use this flush, you may adjust the amount of Epsom salts, to produce soft bowel movements. Some people need 1 tablespoon in each apple drink, while others do best with half that amount. The goal is very soft or watery, large volumes of bowel movements. The flush may cause you to feel weak, as diarrhea can dehydrate and lower energy levels. You may drink some juice 15 minutes after your Epsom salts drink in the morning. Then move onto fruits and solid foods even later in the morning. Remember, do not repeat this flush more than twice monthly. Don't forget, you can use promo code BLADDER to get $10 off your initial visit with me, when we can discuss all of your symptoms in more detail. This visit can be in person, by phone or online.